DNAnexus Inc., and Sutter Health network have started a large-scale clinico-genomic multiple sclerosis research effort. SmartLinx announced Providence Healthcare Management has chosen its integrated suite to manage staffing for its assisted living and skilled nursing facilities. Greystone has provided a $58.8 million HUD-insured loan to refinance a skilled nursing facility in Southampton, NY, the firm said. Oxford Finance LLC announced the closing of a $96 million term loan to an affiliate of Summit Healthcare REIT Inc.
Lenbrook, a life plan community in Atlanta, has selected K4Connect’s K4Community for its residents and staff. TimeSlips, a creative story telling program for those with Alzheimer’s disease and other dementia, has relaunched its website. 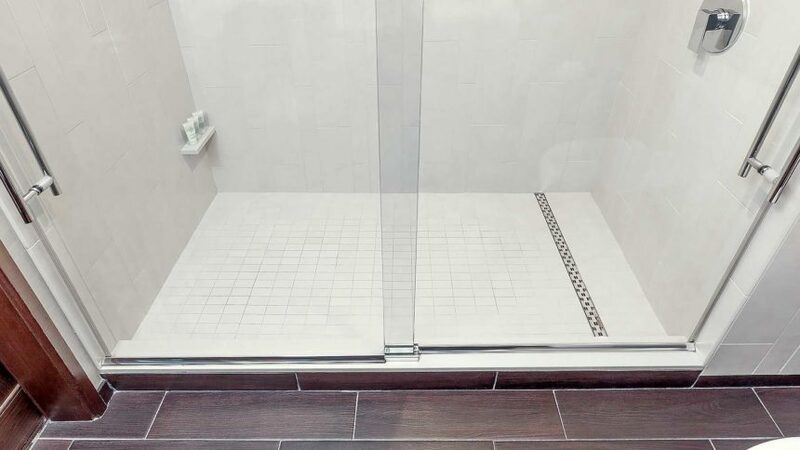 A new ProLine linear shower drain by QuickDrain USA can help designers create wet areas that allow wheelchair access and meet ADA compliance. AirFit P30i fits 90% of wearers. It has two frame sizes and three cushions. Sentrics has acquired SeniorTV, which focuses on television entertainment for senior living communities. RCare Inc. has announced a strategic partnership with upBed, maker of a wearable bed exit solution for fall prevention. VoiceFriend has released its Wellness Check Module for a voice-activated notification and communications solution for communities. Investment bank Ziegler has expanded its Senior Housing & Care Finance Practice, offering services to the for-profit sector. Provider Partners Health Plan has announced new affiliations with The Alden Network and Aperion Care of Chicago. Europ Assistance announced its German division has invested in Pflegix, a startup senior care business. OnShift has introduced the OnShift Wallet Visa Prepaid Card. Nuvothera launched its Super-Micronized Turmeric Curcumin supplement, which is meant to diminish joint pain and decrease heart disease risk. The Food and Drug Administration has added new data for TUDORZA® PRESSAIR®, a medication to treat chronic obstructive pulmonary disease. Tarkett’s new Corporate Social & Environmental Responsibility report, audited by a third-party group, reflects the company’s sustainability commitment, the company said. Encompass Health Corporation has bought Alacare Home Health & Hospice for $217.5 million, the companies announced April 2.